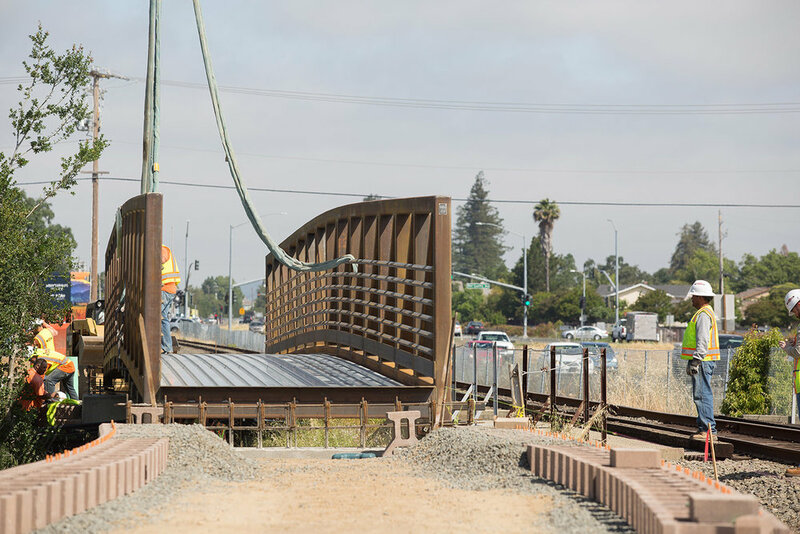 Work on this project consisted of the preparation of terrain and the installation of the channel bridge, completing the Oak Knoll section of Napa Valley Vine Trail. Preparing the terrain required erosion control, BMP installation and maintenance of the wetland. 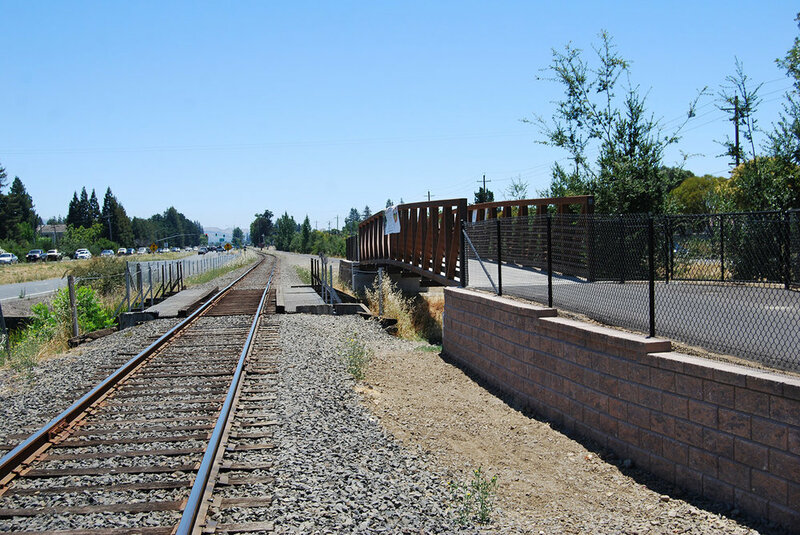 Before installation of the pedestrian/bicycle bridge, the abutments of the previous bridge were excavated and replaced; retaining walls and fences were installed; and the bike path was raised to meet the bridge. 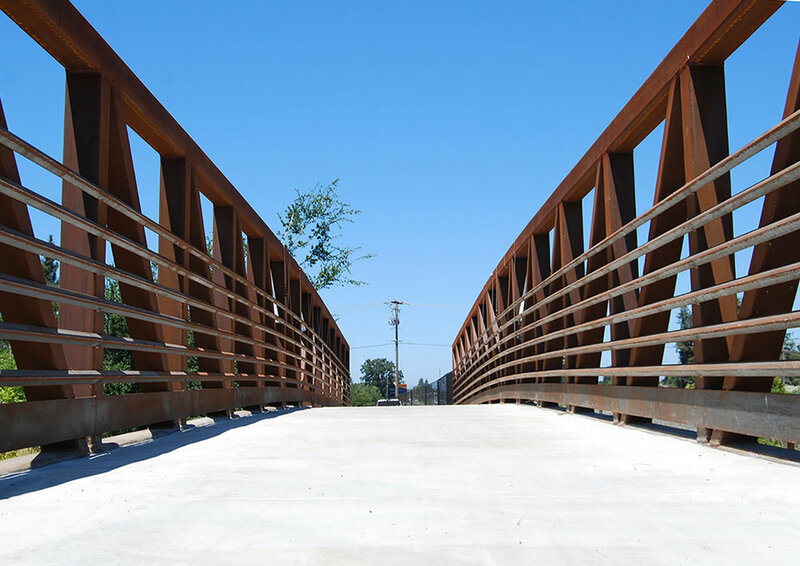 After the placement of the bridge, the bike-path was graded and paved and the Vine Trail resumed function. 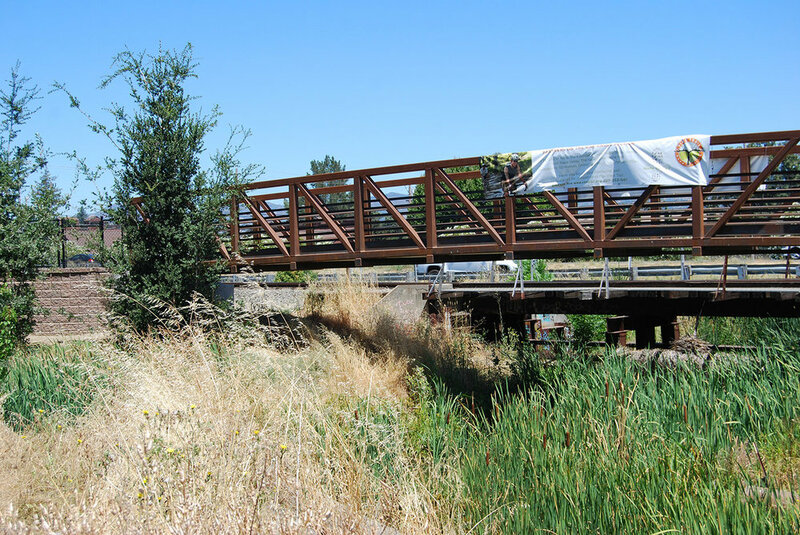 Napa Vine Trail – Oak Knoll Segment.